We welcomed back to the show Kim Holder, founder of Moonwards.com. To start our two segment 94 minute program, Kim provided us with a Moonwards introduction, not only for returning listeners but also for new listeners not yet familiar with Moonwards. Kim's introduction focused on letting the listeners know that Moonwards was about creating a virtual lunar experience so people could see what might be possible for humanity in the future. As you will hear and see from her website, Kim introduces Moonwards visitors and participants to cutting edge technology and concepts, many of which have been and still are discussed with various Space Show guests. Nuclear power was cited as an example. So was thorium and as you will hear near the end of the show, graphene and carbon nanotubes. During her early comments, she explained why Moonwards was based on open source software. The brief Moonwards introduction led to the initial technical discussion I mentioned above. I suggest you follow along with us on the Moonwards.com home page by clicking Machines at the top of the page. Kim explained the sources behind much of her technical additions to the Moonwards project, plus we focused on several of them as they were the topics behind several recent Space Show program. Kim received several email questions during the program. Margaret from Spokane was the first with a question about a policy gap with the policy making people and those in Congress compared to what Kim and many others see about the Moon, going back to the Moon, lunar development, humans to Mars and overall human spaceflight. Margaret was hoping to get an explanation for this visionary gap. Don't miss what Kim said in responding to this question. Please let us know how you would have answered Margaret plus what you think of Kim's response by posting your comments on our blog. I mentioned that Kim had posted a link on the blog to the Moonwards demo which she described during our discussion. She explained some of the technology challenges with the demo, especially those challenges rooted in coding. She also provided instructions for downloading and engaging with the demo. Once again, we would like to know your thoughts about the demo so do download and engage with it. We want to hear from you. The topic of Kim's upcoming presentation at the Space Access Society Conference in Freemont, CA for the week of April 18-21 came up as Kim will be speaking at the end of the first day of the event. Kim will also have a Moonwards exhibit at the event. Next, Todd sent in an email asking how to realize Kim's vision which she had been speaking about not just today but on her previous Space Show programs. Georgia from Memphis took us in a new direction with her email asking how those on the Moon would spend their time. Would they be on the surface or underground, how would they deal with radiation and how would this be represented via Moonwards. Kim talked about radiation challenges, using at least 6 meters of compact regolith for shielding and how visitors to Moonwards would address these and other challenges. I followed up by asking Kim about the use of Lava Tubes and if that would be a possibility for those Moonwards residents of Moon Town, the major town that would be established on the Moon. Kim was not that supportive of lava tubes early on but held open their use later in Moonwards development. Listen to all of what she said on the lava tube subject. This would be another issue for you to use in providing feedback via our blog. Before going to the second segment of the program, we talked about Moonwards lunar development issues which Kim said were far out and different from what others wanting to get a project going on the Moon might have. Examples were offered via Dennis Wingo, Lockheed and others. 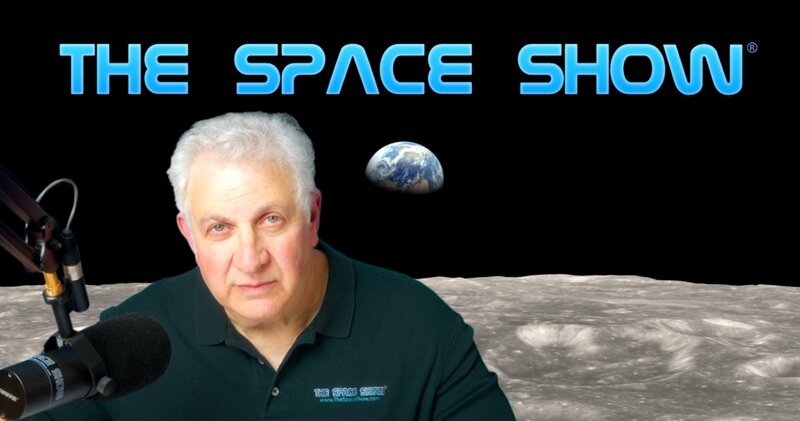 We did talk lunar nuclear power, something Dennis talked about on his program a week about as did Dr. Morrison when he was back on a few weeks ago. Kim even suggested that down the road sky hooks might prove a good idea. She explained why in some detail. In the second segment, we returned to the Machine section of the Moonwards website that we had mentioned in the first segment. Kim suggested we click on Buildings which was one of the options listed under Machines as she began discussing the use of basalt fiber, melting lunar regolith using solar power, and more. She talked about making lunar glass fiber and related topics. She suggested these were all future ways to develop the Moon but for now they were not part of her Moonwards demo which she stressed was a rough draft. Since Moonwards was open source, I asked if people building and doing things per Kim's discussion could actually screw up the site. Kim then talked about challenges in making Moonwards multiplayer capable which may be a future option for Moonwards. Tom then sent in a question asking if induvial Moonwards players could develop their own nuclear power plan on the open source platform. Kim said such a broad project for the entire colony would be going through layers of vetting and not really available as an individual build out. Listen carefully to how Kim explained this. One of the things she mentioned was the vacuum on the Moon and how Moonwards technology would use that quality to its advantage. By the way, Wingo said the same thing a week earlier when he was a Space Show guest. Kim talked about melting lunar surface minerals, and using such techniques and products to build Moon Town and more. Linda from Colorado Springs sent in a note asking how people would get from Earth to the Moon. Kim explained her cislunar transportation ideas and even the advanced idea of using sky hooks down the road. She talked about launches and more so don't miss this important discussion. As we were moving toward the end of the program, Kim talked about supporting Moonwards, their task in history and why supporting Moonwards was important. Before the program ended, the last email came in from Beverly wanting to know if Kim had considered graphene instead of carbon nanotubes based on a recent Space Show program on graphene. Kim had much to say about graphene and carbon nanotubes so don't miss her comments. Also note that both carbon nanotubes and graphene were technologies on the Moonwards website. Kim offered some final closing comments and said we were approaching a tipping point and then once more for our listeners, she talked about the importance of visualizing our future through space and how Moonwards can assist us all in not only doing that but understanding the importance of doing it. Please post your comments/questions on TSS blog for this show. You can reach Kim Holder through me or www.moonwards.com.